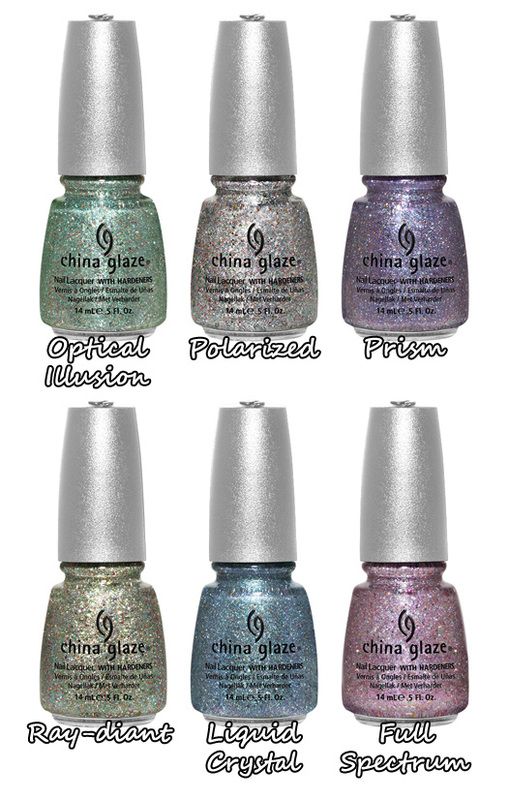 I received a press release the other night announcing the new China Glaze Prismatic Collection. Six new shades — a chunky glitter fest, complete with holographic particles. Maybe it’s ‘cos they’re a bit pastel-ly but I’m just not going to break my neck in the rush to add these to my collection. I was wondering if I might feel differently once the swatches started to appear. Here’s some from Scrangie (who can basically make me want anything) and Nail Stories. I’m still not lemming them, maybe my nail polish lem has been broken? What about you? Are you excited for the China Glaze Prismatic Collection? Polarised and prism look great. It’s such a shame that glitters are such hard work to remove! Polarized is definitely the best looking of the lot, but I am already refusing to buy it because of the spelling. Why oh why must the put z’s in everything?! See the Scrangie swatches made me desperately want these yesterday, even though I’m not usually one for glitters. My magpie tendencies have kicked in with this collection though.